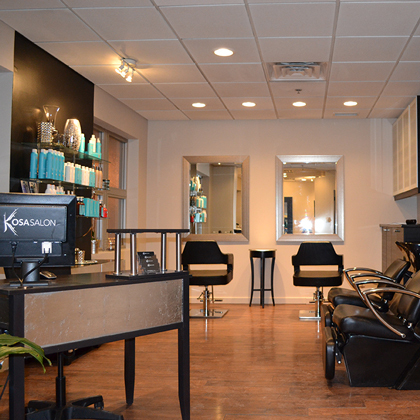 Kosa is the premier salon in the River North neighborhood of Chicago, located only minutes away from public transportation with metered parking and valet service available. 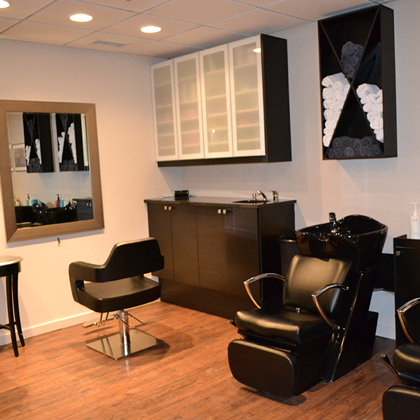 Kosa is a full service hair salon that can handle all of your hair care needs. The Kosa team is comprised of four owners that have been working together for a number of years. We are devoted to the art of doing hair and we love making people look and feel better about themselves. Here are brief bios on the Kosa team. Amy has a passionate approach to doing hair. She has been in the business for over 17 years, working in Chicago as a hairstylist. Amy was trained by some of the best educators in the industry. She has always been involved in learning new techniques and following new trends through continuing education classes: Toni&Guy Hair Cutting Classes, American Crew Hair Cutting Classes, different styling classes, certified in Keratin Complex Smoothing Therapy, or La-Brasiliana smoothing therapy. Amy has technical expertise and her product knowledge allows her to educate her clients about their individual creativity. Amy‘s inspiration is her clients... meeting new people and creating unique looks for them. Ana is a master colorist, working with client’s current color, skin tone and eye color to achieve the desired look. In determining a clients needs, she also takes into a consideration a clients hair texture and life style during her consultation. Ana has worked with Goldwell, Redken, Alfaparf as well as L’Oreal. 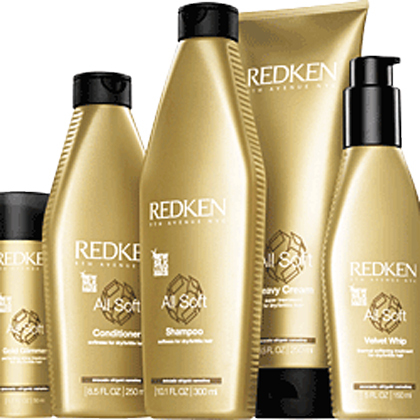 She keeps current with hair color trends during in-salon training and classes through numerous color lines. Ana has trained at the L’ Oreal Soho Academy in New York to stay current with color products. During a personal consultation she determines which technique to use, whether balayage or traditional foil, her goal is to achieve a more natural look. Maria started her career in Chicago’s River North neighborhood and has built her following over the past 15 years. After graduating she got her training through an assistant program in downtown Chicago. She continues her training with in-salon classes and continuing education through Moroccan Oil, Kerastase and L’Oreal product lines. Maria has had advanced training from American Crew in mens cutting and styling. She has extensive training in relaxers and is certified in keratin smoothing treatments by Keratin Complex Smoothing Therapy and La Brasiliana. 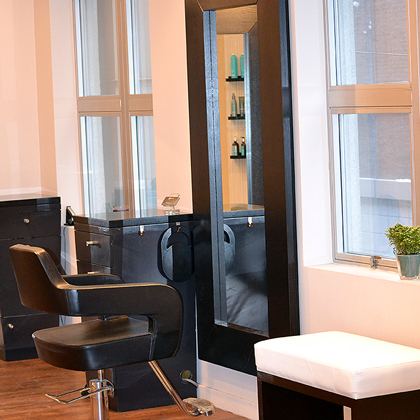 Maria’s philosophy in haircare is to give the client a cut and style that works for the individual. Your hair cut and color must compliment the client’s features and lifestyle. With over 60 years of experience, we can facilitate any hairstyle that you can dream of. We are some of the best shears in the business. Top color specialist in the city. Bringing the best from all of our experience and education. From updos to modern twists and braids, we can bring excitement to your hair and to you. All the products we use, we stand behind 100%. 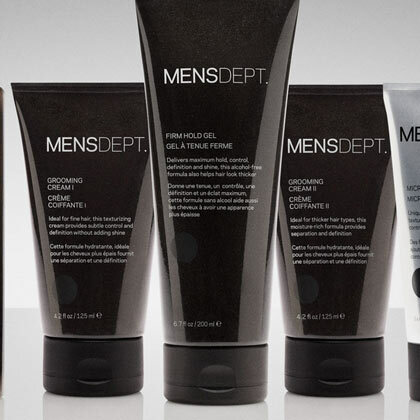 When we use our product on you, we know what is in the product and what is good for your hair. We will also recommend the items we use on your hair to take home and try it in a everyday environment. 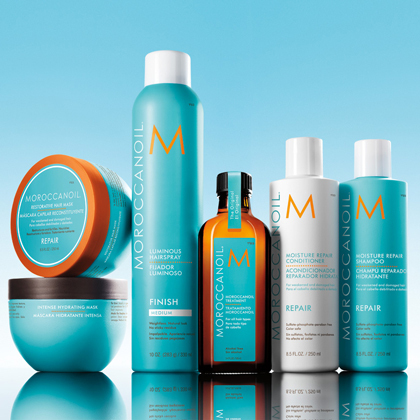 We have a great range of hair products that we believe in and use here in the salon.